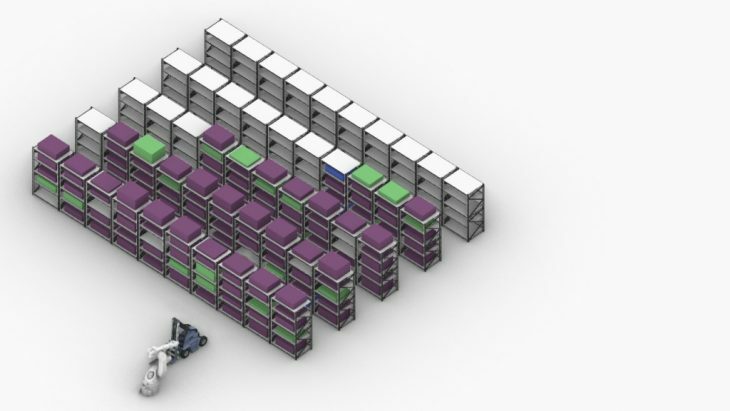 For my semester project in Python, I decided to take a look for storage systems and logistics for autonomous vehicles. 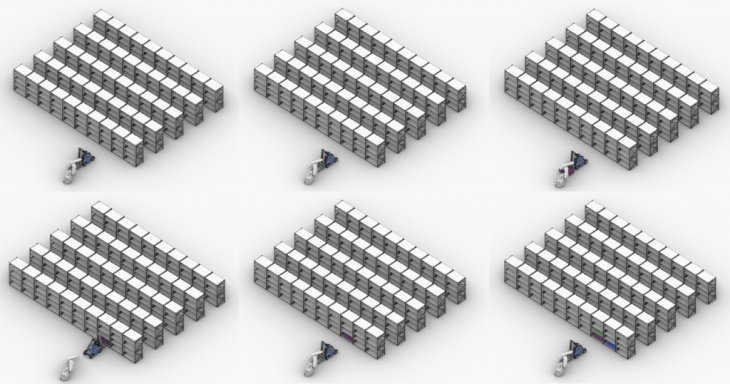 Inspired by existing solutions, like Amazon facilities, I tried to prepare a simple simulation of picking and placing palettes in a warehouse. 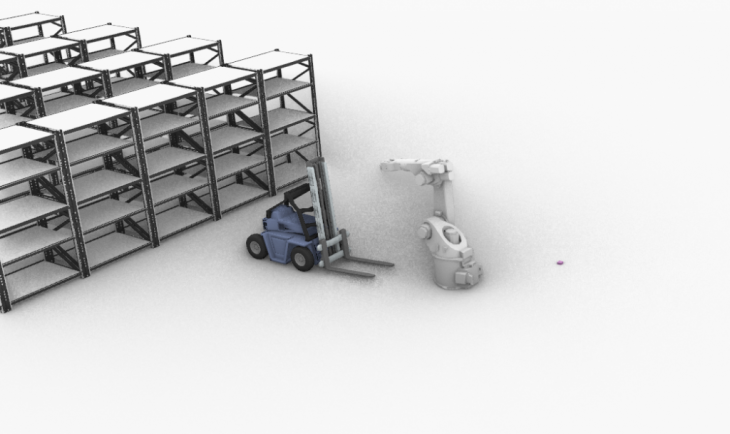 With the prepared setup of shelves, autonomous forklift and robotic arm, I made a script that simulates adding new boxes and removing them based on time from the warehouse. With CSV file in the background, the algorithm is finding a closest free spot on shelves and placing there new box. I the same time program checking if any of the boxes are ready to remove and free up space for new one. Everything is saved in the external file. Another simple Python script visualizes everything. For the future development, I would like to make the simulation more realistic. In the beginning, I will add real-time option. Also closest spot I would like to change for fastest one, as this is not the same. Also, records of history would be helpful, to see what is real productivity of the setup and allow to compare different settings.